The smart home features discussed in this section can be used anywhere around the house that you want to use them. Features like a smart video camera that can be used to monitor your pets, your children, the security of your home and more. These smart video cameras like the Nest Camera, the Yi Camera and more can monitor any room in your home and send video images to your phone anywhere in the world. These smart cameras require an internet and power connection to operate. Some of the cameras are fixed but have a wide angle view that can see quite a bit, whereas other smart internet connected cameras offer the ability to pan and scan around the room to see different things. Not only can these cameras show a live image of what is happening in your home some can also record video either to your phone or on the camera itself so that in the event the camera does catch a criminal in action the video can be preserved for law enforcement. Another smart home feature to consider is smart home lighting. With smart home lighting, lights around the house can be turned off or on based on a schedule or with a touch on the screen of your smart phone from wherever you are. No need to worry about forgotting to turn on or turn off lights when you can check your phone to see the status of lights all over the house. 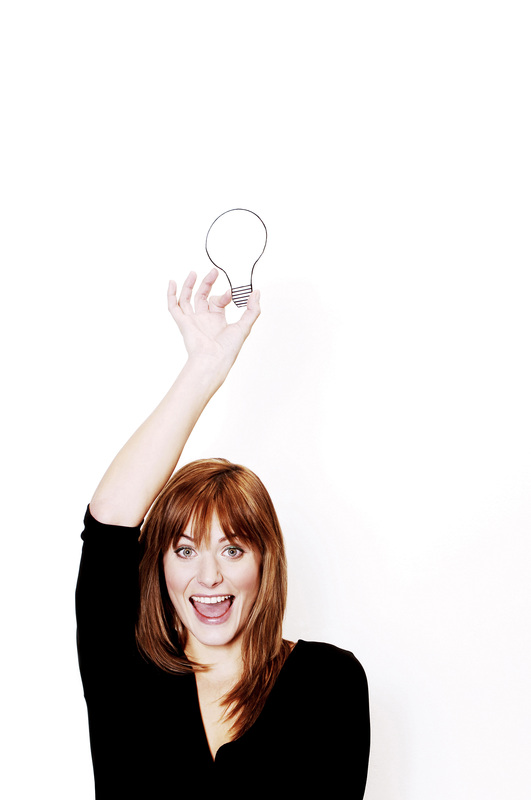 One of the more well-known smart lighting control devices is the Philips Hue. With the Hue you need to purchase the Hue Bridge that acts as a central controller for all Hue lights in your home. The Hue Bridge connects to your home internet and with your smart phone and/or with the Amazon Alexa, Google Assistant or Apple Home. Amazon Alexa, Google Assistant (with Google Home) and the Apple Home (with Apple HomePod) offer intelligent assistants that owners can interact verbally with. These intelligent assistants not only can control other compatible smart home products but can also answer questions, assist with the ordering of food, and more. Many of these intelligent assistants are already built into your smart phones like Apple Siri and Google Assistant where at the tap of the screen you can ask it anything you want. Whether you get the answer you need is another story as the technology is still developing. For those areas where compatible smart bulbs may not be available or you are looking to turn something on and off that is not a light there are some other options for that as well. Smart wall switches allow you to turn off and on lights, plugged in appliances and more all from your smart phone or other smart assistant. These smart switches connect to your home’s Wi-Fi network and can be set to turn things on and off based on a pre-programmed timer or when you want it to turn off based on manual input with your smart phone. Some switches can even turn on or off based on your leaving or coming home. When programmed to do so the switches turn off or on based on how you set up the system to react when you leave or arrive at the house with your smart phone. This is a great way to ensure lights that should be turned off when no one is around are off and those that should stay on are on. After smart switches comes smart outlets or smart plugs. Same as with smart switches these smart plugs allow the remote turning off and on of lamps, radios, appliances and more all from your smart phone. With these smart plugs you can make it look like someone is home listening to the radio while you are away on vacation. While the actual HVAC units themselves have been a little slower in adopting smart features that does not mean the overall heating and cooling of your home need lack smart features. In fact the main control unit of the HVAC system is the thermostat and smart thermostats have been on the market for quite some time now. Smart thermostats like Ecobee, Nest, Honeywell and more offer smart phone access to your thermostat from anywhere you have an internet connection. Some thermostats also monitor whether anyone is home or not and can automatically reduce temperatures in the winter and increase temperatures in the summer in order to save money on the energy bill. Additionally based on how you set the thermostat some can know that you are getting close to home (based on the location of your smartphone) and automatically start the heat up or cool down cycle depending on the time of the year. The Nest thermostat can interact with other Nest products like the Nest smoke detector, Nest camera and more. With the Nest smoke detector if a fire is detected the Nest thermostat will automatically shut down the HVAC so smoke is not circulated throughout the home. There are other brands of smart smoke detectors to consider from, but not all of them will integrate as easily with other smart devices as the Nest devices do. There are already in use a number of robotic vacuum cleaners that take out the drudgery of vacuuming by doing the chore on a set schedule based on your input. Newer models of the robotic vacuum cleaners are able to connect to the internet and receive input directly from the owners via their smartphone. 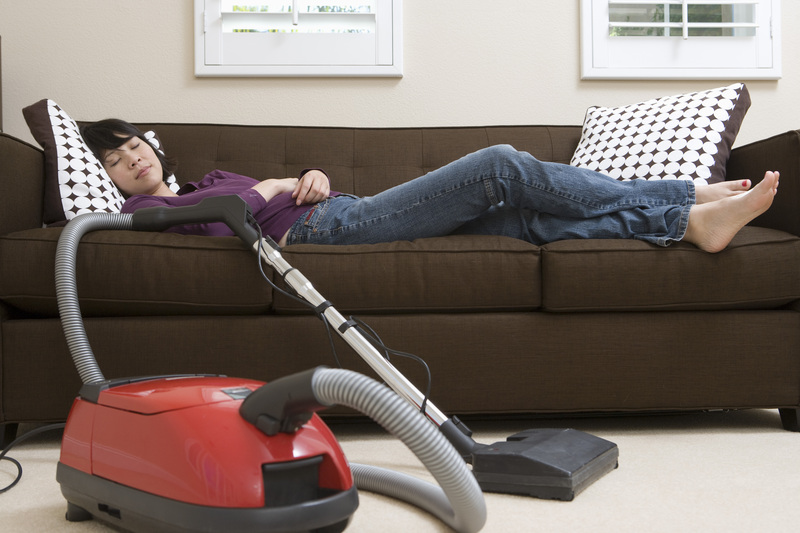 As a result the vacuum schedule can be adjusted while away from home and the homeowner can monitor the status of their machine remotely as well. On the refrigerator front there are a couple of new smart fridges from LG and Samsung that have large touch screen displays on the front of the refrigerator. The displays can be used to see what is inside the fridge without having to open the door and that feature can even be used remotely via smart phone so you can check if you have enough milk or need to buy more from the grocery store while in the store. The displays also serve as smart hubs where you can keep a recipe up for easy reference, leave notes and memos for yourself or family members, stream music and more. Whether on fridge displays really catch on in the home remains to be seen but these two new smart refrigerators from LG and Samsung lead the way. Even on the washer and dryer front some smart appliances are starting to come into the marketplace. Whirpool has introduced a smart washer dryer combo unit that does both the wash as well as the drying in one unit. The one unit device can help save space for those who live in apartments or smaller homes but still has enough capacity to satisfy the average user. The washer/dryer combo can be programmed to start the laundry during a time when power consumption is not so expensive (night time) and be complete in time for when you wake up. Through Wi-Fi connectivity the washer/dryer can download new wash cycles and send notices to your smart phone when it is done. The washer/dryer also works with Amazon Dash and can automatically order new detergent when supply levels are low. An interesting concept for sure and the combination of washer and dryer in one unit may take some getting used to. 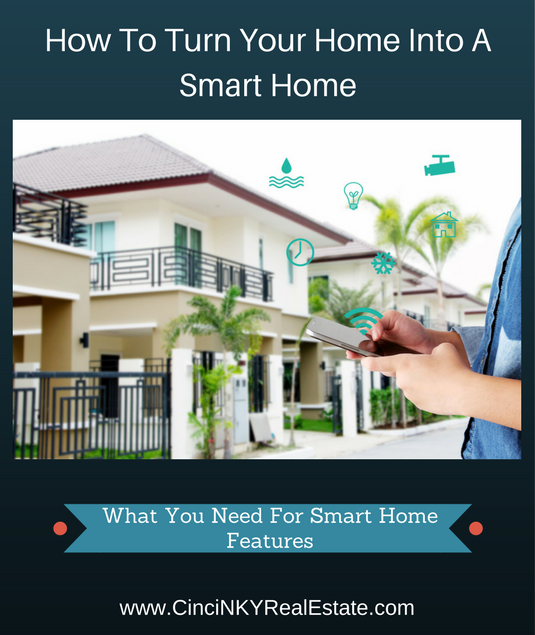 A smart home is not that difficult to achieve for homeowners and apartment residents. Many of the everyday appliances and devices around the home are internet enabled and can talk with your smart phone for a greater level of control. Now is the perfect time to upgrade your home to help make things easier to do around the house and maybe even save some money at the same time. About the author: The above article “How To Turn Your Home Into A Smart Home” was provided by Luxury Real Estate Specialist Paul Sian. Paul can be reached at paul@CinciNKYRealEstate.com or by phone at 513-560-8002. If you’re thinking of selling or buying your investment or commercial business property I would love to share my marketing knowledge and expertise to help you. Contact me today!